No CSA? No Farmers Market? No Time? No Problem! Organic Produce Delivered - Our 1st Box from NGE! Want a taste of what a CSA is like? Follow along with our Week in the CSA Life... for each week's harvest with tips + menus, recipes and more! Yes, a local community supported agriculture (CSA) program is our absolute favorite source for organic produce. And farmers markets are THE go to for local food in season. But what if you don't have access to a local CSA? Or want seasonal foods all year round? AND delivered right to your door? Enter organic produce delivery, especially ones that are done right -- sustainably grown and delivered. 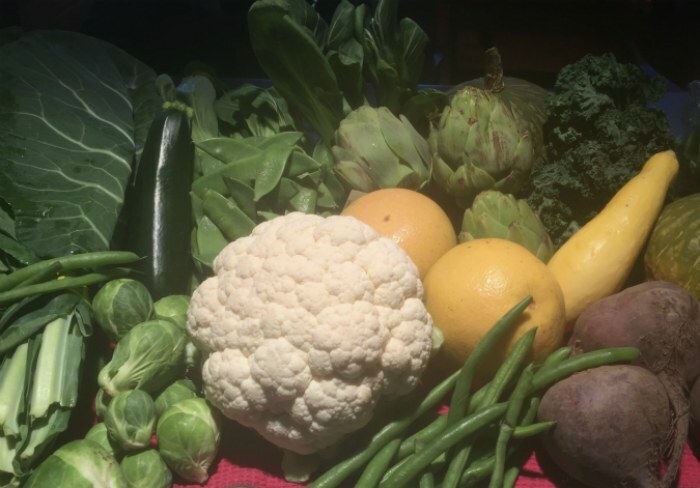 We have been fortunate to participate in local CSAs for almost twenty years; however, for varying reasons, our options for a consistent source come and go. So over the last year, we searched high and low for the "next best thing" and discovered more options are available now than ever. Our primary objective was to find organic produce delivery that allowed us to still support local/regional producers and is shipped as environmentally conscious as possible. What works for us may not work for everyone, so which organic produce delivery has worked for you? Please share your recommendations here so we can build a Find-It Guide for organic produce delivery no matter where you live. The What: Organic produce delivery service offering home and office delivery + other healthy products including meat, seafood, eggs, and much more. The Why: To provide individuals and families with convenient access to nutritious and affordable food, while supporting local farmers & producers who practice sustainable agriculture. The Wow: Local, organic groceries delivered to your door -- need I say more? But I will because they are doing so as a zero waste facility, meaning they throw away "next to nothing" in addition to striving to locate the items they need with the lowest carbon footprint. AND they donate thousands of pounds of organic produce to the Atlanta Community Food Bank, local churches + monetary donations to local schools, pet shelters, and environmental charities. 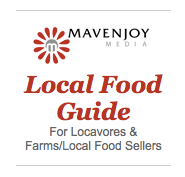 Mavenjoy Tip Update: Receive $10 $15 off your first box of organic groceries with this code: 4920a. They'll also credit our NGE account for $10. Win win! Not everyone is fortunate enough to have access to a local CSA or farmers market, but more and more farms and producers are banding together to ship their harvests nationwide, affordably and sustainably. Let's get the word out to others and support sustainable agriculture and healthy eating. Give us the scoop on how this organic produce delivery service works. Feel free to share information about products available, stories and the people behind your favorite plus any other tips and details. Your story will appear on its very own web page. Please include an email address with each submission in case we need to contact you regarding your submission; your email address is not visible to others and is not displayed publicly. After you submit your pick, you will be taken to a screen that gives directions for including your e-mail address. Click the button to receive notification of your submission so we will have your email address. Please rest assured, your email address will not display publicly or be shared with others. Click here to see the rest of the form and add your pick. Read why we LOVE it!